After running away from an orphanage, nine-year-old Rasmus finds the world a cold and unfriendly place until he befriends an extraordinary tramp called Paradise Oscar. Together they meet more adventure than they ever imagined, solve a mystery, and catch the culprits. Rasmus dreams of finding a family and a home someday. But when he does, will he be able to part with his new friend and life on the road? Children will hang onto every word as Rasmus and his unlikely friend discover hidden treasure, dodge a shady pair of villains, and rescue a lady in distress. Here's a gripping plot interweaving cops and robbers, a deserted village, a desperate chase, and a surprising, thoroughly satisfying ending. I read a lot even as a kid, but I don't remember ever reading this book. I do remember one of my teachers reading the Pippi Longstocking books to us, and when I saw this was the same author who wrote those books, I was intrigued enough to review this one. 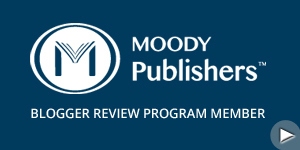 The recommended ages for the book are 8-12, though I would personally go with 8-10. I enjoyed the book. Yes, I am way beyond the recommended age, but it is a fun read that any kid would also enjoy. Rasmus, the main character, is a delightful and likable young boy who is living in the not-so-great of circumstances, stuck at an orphanage run by a lady who doesn't seem to like children. So he runs away and takes up with a tramp named Oscar. The book becomes quite entertaining from there on out. The pair tries to stay out of trouble, but it keeps finding them. The author did a great job of portraying the emotions of a young orphan wanting a family, and brought the book to a satisfying conclusion I didn't see coming. This is a book parents can have their kids read with no fear of content. This is what books should be like. I highly recommend. Astrid Anna Emilia Lindgren, née Ericsson, was a Swedish children's book author and screenwriter, whose many titles were translated into 85 languages and published in more than 100 countries. She has sold roughly 145 million copies worldwide. Today, she is most remembered for writing the Pippi Longstockingbooks, as well as the Karlsson-on-the-Roof book series. 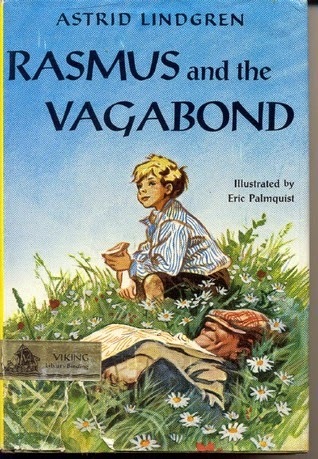 Rasmus and the Vagabond is available from Plough Publishing House. Thanks to Handlebar for the review copy.